This Castered Office Chair allows you to bring modern style to your home or work space with its swooping curves and contrasting tones. 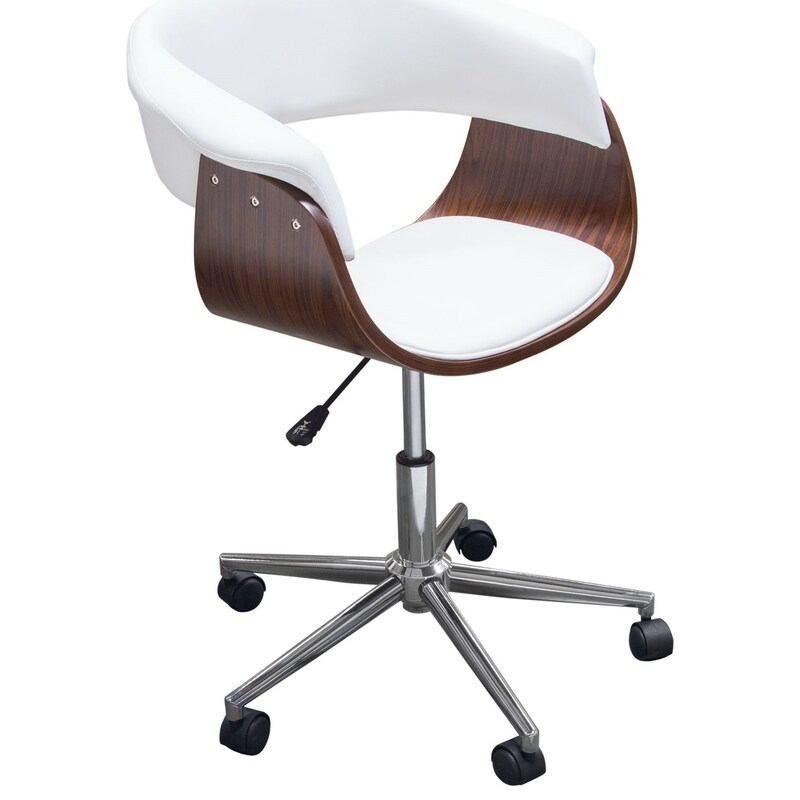 Molded Bamboo shell is contrasted by the supple White leatherette padded seat. Style, Comfort, Mobility, the Cove Office Chair has it all. The Cove Desk Chair by Diamond Sofa at Red Knot in the Oahu, Honolulu, Kapolei, Pearlridge, Salt Lake, Hawaii area. Product availability may vary. Contact us for the most current availability on this product. Browse other items in the Cove collection from Red Knot in the Oahu, Honolulu, Kapolei, Pearlridge, Salt Lake, Hawaii area.